Very recently, we had the opportunity of checking out the early access preview of Android 4.0 Ice Cream Sandwich for the HTC Sensation XE, but interestingly enough, we find it boasting Sense 3.6 as opposed to version 4.0. At first, it looks a bit similar to the Sense 4.0 interface we saw running on newer devices like the just announced HTC One X, but there are some noticeable differences. From the sound of it all, the HTC Sensation line won’t be getting the full Sense 4.0 treatment when the official ICS update goes live to the masses. Instead, it’ll be sporting a ‘lite’ version that will employ some of the key characteristics of Sense 4.0, but as of right now, there’s no confirmation as to what exactly it’ll consist of in the end. Moreover, HTC mentions that HTC Sense 3.6 was in development in parallel to Sense 4.0. Before getting into a hissy fit about this new revelation, especially if you happen to own an HTC Sensation device of some kind, just remember that Sense 3.6 will be featuring most of the key Ice Cream Sandwich UI elements that should no doubt keep things fresh for owners. From what we can tell so far, the HTC Sensation XE is snappier in performance than before, which is more than likely credited to the enhancements attached with ICS as a whole. Surely enough too, it offers ICS specific features like face unlock. For those holding dearly to a Sensation smartphone of some sort, you can expect to see the general availability of the new software sometime later this month. Thankfully, the wait won’t be too long at this point for handset owners. Honestly, it makes us wonder if future lower spec'd HTC smartphones will be outfitted with Sense 3.6 instead. Must have something to do with only having 768mb of ram. But I could be wrong about that. My Photon has 1gb ram and yet only 500mb available due to all the system resources running in the background for the OS and Phone features. Will this be the same for phones like the thunderbolt when they too finally get their ICS update as HTC has said they would? Well lets not forget that even HTC said there's way to much on sense UI. Maybe they should dumb it down to fit ICS along with Some sense 4.0 features. OS should come 1st before any OEM's skins. The sensation is IMO still a top of the line phone. That is sad if this is true. Let me ask everyone something? Is GS2 getting touchwiz 5? No! The test leaks of ics have TW 4! 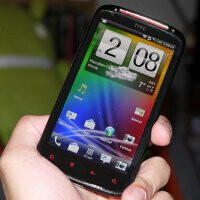 HTC can't update the sensation with sense 4.0 before the release of the ONE series! That would be a marketing mistake! I believe the Sensation will get sense 4.0 by the end of the year like the Desie s and HD got sense 3.0 ( SGS is not even getting ICS while the same generation HTC phones are). I've been running sense 3.6 (ics) on my rooted Sensation for about a month now and it is much much faster than 3.0! HTC did a nice job on ICS for the sensation ( they messed up with GB) both in battery life and especially performance! Thank you! If only that was clarified in the article, people wouldn't be complaining about their HTC phones. totally agree there, without even mentioning the slight changes between every touchwiz and the other. HTC deserve credit for updating a device like the Desire S. they are falling down in the competition though and sooner or later Sony will eat a good portion of their market share which will eventually sink them down. I have right now a ICS Sense 3.6 ROM on my Sensation and I'm lovin' it! *McDonalds reference* I reckon that a some developer might port Sense 4.0 to the Sensation just like how that Sense 3.5 was ported to the original HTC Desire. And I will never brag about HTC getting updates ever again. HTC really needs to explain why its not getting the full Sense 4 experience. The RAM is the only excuse. HTC never updates its phone's versions of Sense and this is no difference. Thank G0D for the ability to root! Ha key word is UPDATE at least they given us sensation owners ICS don't care if It's sense 3.6 7 8 9 don't matter to me. Any improvement my phone can get is better and prolongs It's life cycle before I have to get a new one. So just be glad we're getting anything. Well..this is just PURE BULLs**t!!! If HTC claims that the Sensation with 1.2 GHz Dual Core processor and 768mb of RAM isn't enough to run the effing Sense 4..How do they explain HTC One V which is just running on a 1 GHz single core processor and 512mb RAM with Sense 4!?! If this is the case..Sensation will be my last damn phone from HTC, despite being a loyal customer of it for so many years!! Shame on you HTC!! it''s not finalized yet and at least the update is confirmed and already in progress.. maybe because of ImageChip that's not present in the Sensation? as customers, you should be happy an update is coming, no matter it's 3.6 or 3.7 or 5.0.. you should not buy a phone and expect to get every update.. there are reasons behind it.. i didn't expect my desire s to get ics, but when htc told it will get, i took it as a bonus.. i think i can see that you will expect to get jelly bean, too, with sense 5.0, or even android 6.0 with sense 6.0 for your sensation.. Mate..I didn't say that I require jellybean with Sense 5 or Android 6 with Sense 6..I quite understand the situation..I used a HTC Gratia with Android 2.2 which was having a 600 MHz processor, and I was quite aware of the fact that the hardware of that phone was not enough to run Gingerbread, so I switched to the Sensation! What I said was that this is the first update that the Sensation lineup will be getting. And mind you still the Sensation is one of the top of the line phones from HTC, unlike the Desire S or others..So you can't deny the fact that as customers we hope for a better customer service than this..As Sensation is still one of the most famous and top of the line devices from HTC! ok, you may not expect Jellybean and the rest, but at least you should be happy that the update is coming.. maybe it is not sense 4.0 because it requires that ImageChip, or all-UI Beats audio, did you read on my comment before? that's the things that i think will not make it to 4.0, but a lite version instead.. and maybe this Sense 4.0 is another marketing strategy and this will hurt the One Series sales if the older ones are getting it.. why pay more for the V or the S if you can get the sensation with the exact experience? and Sensation is still the top of the line, that's why it is getting the update first.. and you will still get ICS, too.. and talking about customer service, i don't think it is their obligation to push updates when you can use your phone perfectly fine now.. you should be complaining about customer service if your phone is broken and you don't get the expected assistance from them.. for updates to ISC and newer version of Sense (although not 4.0)? i guess you should feel grateful that you get the updates.. sorry, but i just can't help but to feel that you are asking more when you have been given what you paid for, and when you have been given more, you ask for even more..